Enjoy a blissful travel with the TomTom GO 60. This sat nav comes with UK, Ireland and Western Europe Maps in addition to lifetime map updates, traffic and speed camera information. It boasts a clear 6-inch touchscreen that makes for easy navigation as you drive to your destination. Selecting a route by utilizing your fingertip can be done with the Tap & Go technology that comes with the unit. 3D maps on the other hand make for easy finding of where you are and is also inclusive of a route bar that provides you with important traffic information at a mere glance. In addition, you can utilize the voice control on this sat nav unit thanks to its ability to recognize over 1000 voice commands, this way, you are able to focus more attention on the road. 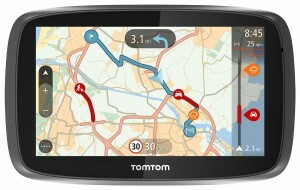 As you drive, thanks to this sat nav unit, you will be able to avoid traffic along your route. This is made possible when you utilize your smartphone in addition to the sat nav to help keep you ahead of the traffic. 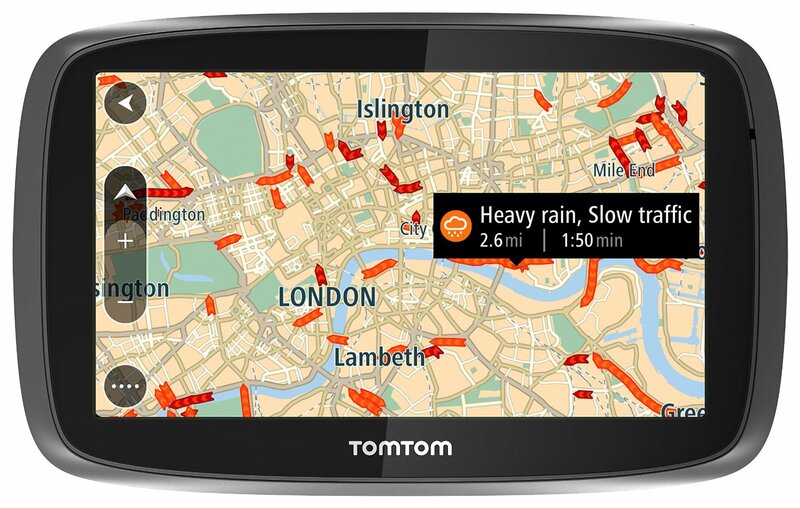 In order to access TomTom Traffic and other features, the smartphone connected device links to your phone to utilize your smartphone data plan. By way of a Bluetooth connection, you will be able to simply connect your sat nav to your smartphone in order to start receiving traffic information that could potentially help you avoid congested areas. Also included in the Go 60 Traffic is a three month TomTom Speed Cameras service usage. This service will enable you stay in control of your speed and avoid speeding tickets by alerting you to approaching speed cameras. Thanks to the intuitive search results, you can be able to make out your destination as soon as you start typing. You can also navigate easily and see your favorite locations thanks to the My Places feature. 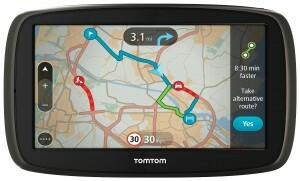 With advanced lane guidance, this sat nav unit helps you stick to the right lane as you approach a junction. It does this by showing you realistic 3D pictures in a bid to reduce on the confusion associated with busy areas. The Points of Interest feature on the other hand enables you find places that you need to go to. Such points of interests may include petrol stations and hotels, this way, your journey us made that much simpler. The Free Lifetime Maps feature enables you download full updates of your map every year , this way, you are able to stay up-to-date regardless of when changes are made to the road networks, points of interest and addresses , in addition to, road changes , new businesses and junction alterations. At least four times a year ,the updates are released and apply to the map that’s pre-loaded on your sat nav unit or included with your smartphone app. A original match will be realized in the Geographical coverage and features . there is no charge attached to the updates are free of charge and they are available for the useful life of the device . Ultimately, this sat nav unit enables you keep your eyes on the road, while letting it help navigate you to your desired destination.